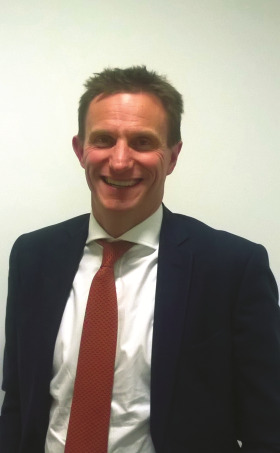 Gardman group sales director and former Henkel UK MD, Mark Portman has replaced Sheila Hill as Scotts Miracle Gro UK & Ireland general manager. Mr Portman joined Gardman in August 2017, having spent seven years at Henkel Consumer Adhesives, where he was general manager UK Ireland & Nordics. Prior to that he held a number of roles at Premier Foods over an eight-year period. He replaces Sheila Hill, who took up the role of general manager in 2015. It was announced last month that she had left Scotts after more than 20 years with the company. The news follows the acquisition of Scotts Europe and Australia by Exponent Private Equity LLP in September 2017. Chief executive Karl Kahofer said: "I am delighted to welcome Mark to our company. He brings a wealth of relevant experience, an impressive track record of delivering results and a demonstrated focus on building company culture. His category experience with Gardman and his experience of working with our largest UK customers will also stand him in good stead. He will make a big difference to our UK business. Mark will join us at the latest beginning of April and until then the UK team will continue to report to Ted Linehan on an interim basis."